Lying to the south of a significant part of the Himalayan mountain range, Nepal is a country that can boast some of the most majestic and stunning scenery in the world. However, the climate in lowland Nepal is actually very tropical, giving the country a wide range of different ecosystems and making it a very varied country too. Because of these factors, it is no surprise that some of the most popular and interesting activities that can be enjoyed in Nepal make use of its wonderful geography. One of the most popular reasons for people to visit Nepal is to go trekking in and around some of the highest mountains in the world, and these treks can range from short and relaxed family treks up to challenging expeditions that can last several weeks. There are many companies that arrange organized treks for groups of visitors, and these will usually employ porters to carry any luggage giving visitors the best possible chance to enjoy their surroundings. The benefit of going on an organized trek is that all of the required passes for national parks will also be taken care of. Two of the most popular treks in Nepal are the treks to Everest base camp and the Annapurna circuit, both of which run near some of the highest mountains in the world. These routes are very welcoming for visitors and have tea houses and hostels along the trek, while those looking for a more traditional taste of Nepal can look to treks around Kanchenjunga and Manaslu which are less developed parts of the country. For those people who have a thirst for even more adventure, the challenge of climbing some of the highest mountains in the world can be found in Nepal. 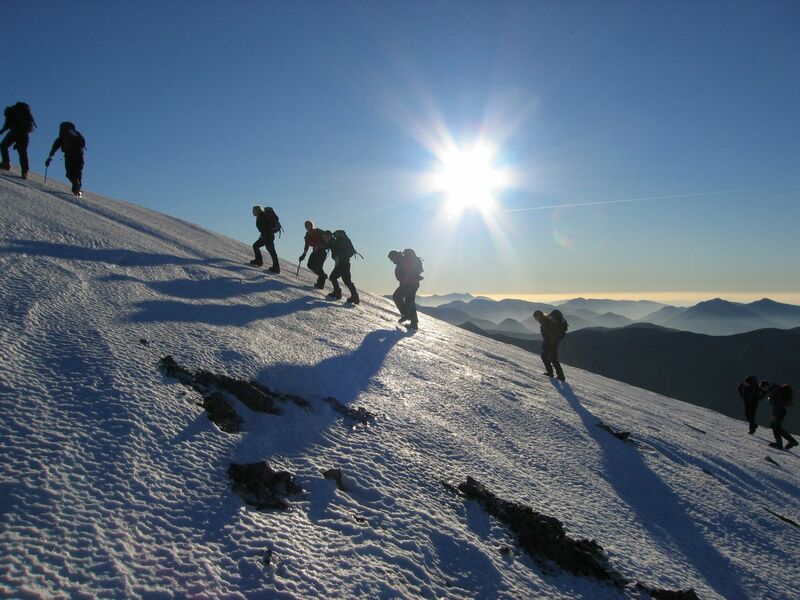 Experienced climbers who have all of the necessary equipment can climb to altitudes of above 8,000m, including the world’s highest mountain Everest, but this will often require years of training. For those who are less experienced but still want to experience the thrill of climbing at high altitude, there are a range of ‘trekking peaks’ that can be ascended with a guide that are not as dangerous as the highest peaks. However, it is worth noting that the ‘trekking peaks’ will still require experience of walking and climbing on ice and snow, and the use of crampons is vital. One of the benefits of the high mountain landscape of Nepal is that it means that many of the rivers flowing from these high areas are excellent for white water rafting. The deep gorges and glacial waters make the white water in Nepal challenging and exciting among the rapids, with plenty of wider valleys as well where rafters can relax and enjoy the majesty of the wonderful surroundings. Organized trips can be booked in advance or from the offices in Kathmandu, with trips ranging from a half day experience up to a much longer trip lasting for several days. After all the excitement of the Himalayas, the bustling city of Kathmandu is a stark contrast to the quiet and peaceful countryside. The markets and bazaars of the city have a massive range of goods from the everyday items through to the more traditional tourist mementoes such as stickers and fridge magnets. It is always worth keeping a look out for traffic, and the motorbikes and mopeds around the city will often be found squeezing through the narrowest shopping streets in the city. Durbar Square is also well worth visiting, as this boasts some of the most beautiful traditional buildings in the whole of the city, with each one adorned with fantastic carving and details. There is no doubt that Nepal boasts some of the best scenery on the continent, and when it comes to getting the best view of the mountains, this is definitely found in the air. There are a number of small airlines that run a regular sightseeing flight around Everest from Kathmandu airport, and these will offer a great view from above. It is also possible to arrange hot air balloon trips and glider excursions above the beautiful HimalayanMountains, and these naturally quieter forms of travel offer peace and tranquility to enjoy the views.